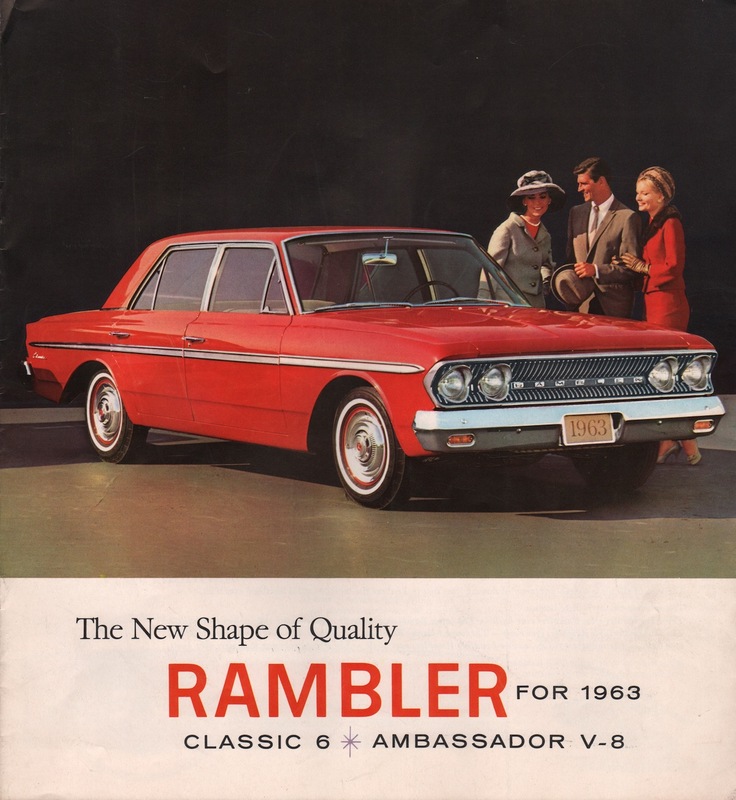 Sales brochure for the 1963 Rambler Classic 6 and Ambassador V8 by American Motors Corporation (AMC). Huge fold-out color images are in this promotional booklet. Models featured include the Rambler Classic Six 770 4-door sedan, 550 4-door sedan, 660 2-door sedan, 770 2-door sedan, Rambler Wagon, Rambler Ambassador 880 V8 and 990 V8. Exterior colors are Classic Black, Frost White, Sceptre Silver metallic, Briarcliff Red, Bahama Blue, Cape Code Blue metallic, Majestic Blue metallic, Palisade Green, Aegean Aqua metallic, Valencia Ivory, Corsican Gold metallic, Calais Coral metallic, and Concord Maroon metallic. Brochures are presented for research use only. Company marks, emblems, and designs are trademarks and/or service marks of Rambler.